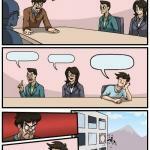 AT VALVE HEADQUARTERS; OKAY GUYS, WE NEED TO MAKE A NEW GAME. ANY IDEAS? 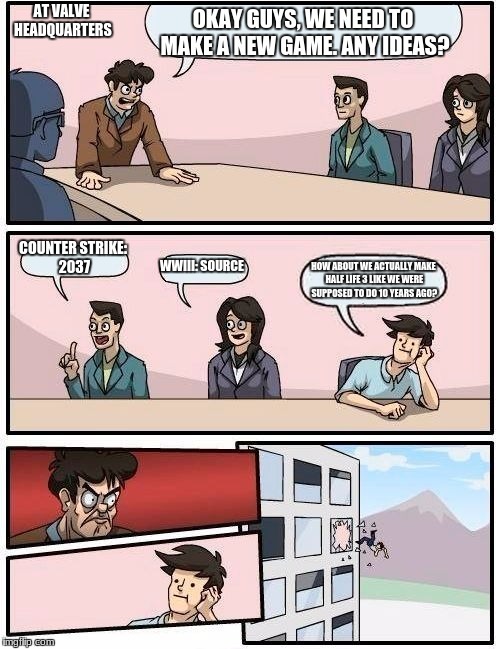 COUNTER STRIKE: 2037; WWIII: SOURCE; HOW ABOUT WE ACTUALLY MAKE HALF LIFE 3 LIKE WE WERE SUPPOSED TO DO 10 YEARS AGO?